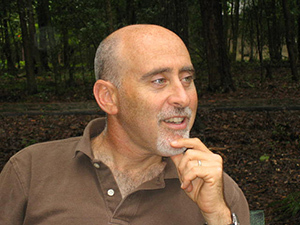 Alon Tal, Ph.D., visiting professor in the Center for Conservation Biology at Stanford University and an associate professor at Ben Gurion University in Israel, will present The Environment and the Middle East Peace Process: A Blueprint for Progress, at Manhattan College on Wednesday, March 5. Due to Israel’s modest size, the country’s environmental problems are largely transboundary. Without cooperation from its neighbors, there may not be much progress in areas from stream restoration to species repatriation. Tal will discuss the more than 20 years of below-the-radar environmental cooperation in the region, the present peace process, and how it might be leveraged to ensure an ecological dividend for the area. Founder of the Arava Institute for Environmental Studies, a graduate studies center for Israeli, Jordanian and Palestinian students, Tal spent his career divided between academia and public interest advocacy. Students at the Institute join environmentalists from around the world in an advanced interdisciplinary research program. In addition, Tal is the founding director of Adam Teva V’din, the Israel Union for Environmental Defense, a leading public interest law group, and was also chairman of Life and Environment, an umbrella group for 80 environmental organizations in Israel. Most recently, he served as co-chairman of Israel’s green party, the Green Movement, from 2010-2013. The discussion is free and open to the public, and will begin at 4:30 p.m. in Miguel Hall, Rodriguez Room 311. Manhattan College's Center for Urban Resilience and Environmental Sustainability, Holocaust, Genocide and Interfaith Education Center, International Studies Program and Catholic Relief Services Task Force are sponsoring the March 5 event. For more information, please contact Pamela Chasek, Ph.D., director of international studies, at pamela.chasek@manhattan.edu or 718-862-7248.